The David LeClair award was established to recognize and encourage newer MAHU members who have shown strong leadership qualities and service to the health insurance industry and in various community activities. 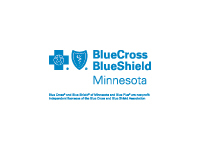 The award consists of a cash grant and a recognition plaque, and will be presented to an individual who has demonstrated dedication to the health care industry. The recipient will be a “newcomer” interested in furthering his/her career in the insurance industry. The award is presented at the MAHU Annual Meeting during the lunch program. Be active in MAHU by regularly attending meetings or other association activities and either giving dedicated service to the health insurance industry or currently pursuing an industry designation. Richard served with the United Kingdom’s “Scotland Yard” for 30 years leading the protection of senior members of the British Royal Famiy and operations at major State and International Events; highlights include the Weddings of Prince Charles & Camilla in 2005, Prince William & Katherine in 2011; the 200 Year Commemoration of the Battle of Trafalgar in 2005; the Queen’s Golden Jubilee Celebrations and VIP protection operations for the London Olympic Games. Queen Elizabeth II made Richard a Member of the Royal Victorian Order in 2013 for his loyal service to the UK and Royal Family. In 2013 Richard sailed solo across the North Atlantic Ocean in his 32-foot yacht called ‘Pathways to Children’ from Plymouth, England to Newport, Rhode Island in the Trans-Atlantic yacht race. Richard is currently preparing to sail from Duluth to England and back in the 2017 Trans-Atlantic yacht race for the Gillette Children’s Hospital. Richard met his wife Margaret in connection with the 2008 terrorist attack in Mumbai India and now lives in Minnesota where he is CEO of LeClair Group, a national individual and employee benefits agency. Qualifying as a Health & Life Agent in 2014, Richard is a member of MAHU, NAIFA and the FPA. Richard brings a fresh perspective to risk management and is focused on leadership in growing the brokerage, services and retail divisions at LeClair Group. Richard is an Ambassador for the Gillette Children’s Hospital, a Member Advocate for the Minnesota Benefits Association (MBA), a non-profit representing the MN public sector and a member of the 2018 Super Bowl Committee. Richard is regularly asked to deliver keynote addresses at industry conferences on Leadership, Motivation and Decision Making. 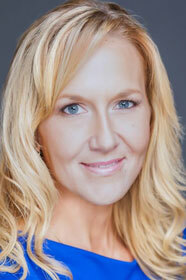 Rachel Jungwirth is a Sales Representative at Principal. She started with Principal after completing her bachelor’s degrees in management and communication studies at Luther College, Decorah, IA. Rachel was the youngest female group sales representative at Principal, and she started her carrier in the External Sales Development program out of the Houston, TX market before moving back to Minnesota in 2014. She has served MAHU on the Professional Development Committee and is a Co-Chair of the Communications Committee. Rachel was born and raised in southeastern MN, and now resides in Richfield, MN. Shawnee has recently opened her own brokerage, Crosstown Insurance, which is no small feat these days due to all the uncertainty, however, she has decided that protecting the livelihood of the citizens of Minnesota is more important than the risks associated with starting a new business. She has taken on a very large role in the professional development committee at MAHU as the logistical specialist, and has stepped into the role of Chair of the Meetings when the current Chair has been unable. And all this at the same time as having a young family: Shawnee is married and she and her husband have 2 young boys. “Shawnee exemplifies the dedication to providing the best opportunities for our members through service to the association,” said Matt Feran, president of MAHU. 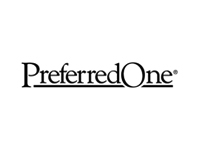 Brooke Peterson is a CITRMS® certified director with Premier Solutions International, premier providers of Legalshield, where she develops and maintains partnerships with clients and brokers. Her expertise are in identity theft and legal plans to strengthen client offerings, create a culture of security for organizations, bring peace of mind to employees, and ensure an excellent experience for the clients and brokers that she partners with. Brooke has a background in ministry and community development, which instilled servant leadership as part of her DNA. A transition to the employee benefit industry more than two years ago was a natural fit by continuing to make an impact in people’s lives on a large scale. She brings a fresh perspective to the industry along with the energy to influence positive change for a vibrant market. In addition to serving MAHU on the Professional Development Committee, she also founded Spark Twin Cities, a professional group of women making a difference in the Twin Cities. Brooke lives in St. Louis Park, Minnesota, with her awesome husband. When Brooke is not working, you may find her outside running, blogging, lifting heavy things at the gym, taking pictures, making healthy food taste good, or trying to golf. Jennifer Steinbaugh is an Account Manager with SevenHills Benefit Partners. She started there fresh out of college in 2006, first as an Assistant Account Manager and quickly moving into the role of Account Manager in 2008. She works with small and mid-size employers to build, manage and provide ongoing service to all facets of their employee benefits packages. In addition, she is working towards acquiring the CEBS (Certified Employee Benefit Specialist) designation and PPACA Certification. Jennifer joined MAHU in 2009 and was recruited in 2012 to assist on the Sponsorship and Auction Committees, which are part of the Professional Development Committee. 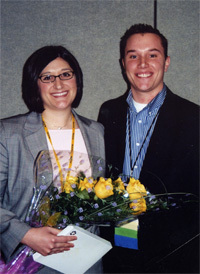 The following year, she co-chaired the Professional Development Committee, which is tasked with planning the Annual Convention as well as monthly luncheons. Jennifer is a graduate of the Carlson School of Management at the University of Minnesota with degrees in Marketing and Supply Chain Management. She was active in the founding years of Pi Sigma Epsilon, a co-ed professional fraternity chartered in 2004. She held several Board positions in that organization. Outside of work, Jennifer enjoys spending time with family and friends. She is a big sports fan, both as a spectator and participant. She enjoys watching the Gophers, Twins, Vikings and Wild and also takes her Fantasy Football team very seriously! She likes hiking, traveling, playing golf and tennis and spending time at the family cabin. Matt Feran joined Secura Consultants in October of 2010 to lead the Employer Markets segment of our business. 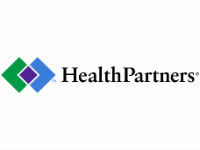 Matt develops and maintains partnerships with Brokers and Alliance Partners. His expertise in the group life, disability, and dental markets; as well as the individual disability insurance and long-term care insurance markets, allows him to help brokers offer their clients options in areas they may not otherwise pursue. Matt earned a Bachelor’s degree in Human Resources from Metropolitan State University. His education and experience in Human Resource brings a unique point of view to the industry. After working in HR as a generalist for over five years, he joined a prominent Twin Cities employee benefits brokerage specializing in Employee Benefits. He is a member of the Minnesota Association of Health Underwriters serving on the Annual Sales Convention Committee. Outside of work, Matt enjoys spending time with his wife and two children. His hobbies include camping, hunting, snowboarding, playing softball, playing broomball, running, and many other outdoor activities. Along with striving to help stabilize the current state of medical insurance, I would like to begin to address the issue of the other health insurance that is far too often overlooked “disability insurance”. NAHU originated as an organization called National Association of Accident & Health Managers in the 30’s. In 1934 the National Convention adopted the slogan for the year as “Income Protection Begets Confidence and Security in the Future.” As you can see, in the early years, income protection (Disability Insurance) was a large focus of the association. My goal would be to bring Disability Insurance back to a dual focus with medical insurance, instead of the ancillary product that it is viewed as by many in the public and many agents. Alycia Riedl is a Sales Executive and Agency Relationship Manager with Medica, a position she has held since 2007. Alycia’s knowledge of the insurance industry and employee benefits market has enabled her to build strong strategic partnerships with her customers, agents, and industry leaders. She is well respected by colleagues and is known for her thorough knowledge and passion for legislative reform and the impact these changes will have on our industry. 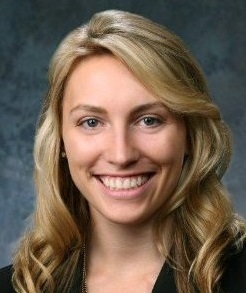 In addition, Alycia is pursuing an MBA at St. Mary’s University. Alycia began her career in the health insurance industry in 2003 in the member service center for HealthPartners. She was quickly promoted and in 2006, Alycia received The President’s Wilber Thomas Award for her efforts in community service and outstanding performance in her role at HealthPartners. Alycia’s contributions to MAHU have been significant. She has served on the Legislative Committee, is the Co-Chair of the Communications Committee and she is now a seated board member. In her role as Chair of the Coalition Committee, Alycia was integrally involved in MAHU’s first“Summer Health and Coverage Kickoff” an event hosted in partnership with Portico, a non-profit group that specializes in serving the health needs of low-income residents. The event was hosted at the Urban League and more than 150 uninsured Minnesotans came to learn about programs to help them get coverage and health services. In addition to her work with Medica and MAHU, Alycia dedicates much of her time to community and civic service. She is involved with the Citizen’s League as a member of the Health Care Policy Advancement group and is a member of the Women’s Health Leadership Trust. Among her personal accomplishments are serving as a Red Cross Health & Safety Instructor, a volunteer during the 35W bridge collapse, a Guardian Ad Litem within the District court system, and as a soccer coach and President of the PTA. Alycia is the proud mother of Aryanna and stepmother of Dylan Lindgren. Fride Mauritzen (Direct Benefits) was born in Europe and is bilingual. Her family moved to Rosemount, Minnesota when she was 13 years old. She graduated from Concordia College in Moorhead in 1997 and enjoys being called a Cobber. Her professional career has included working at Delta Dental in Customer Service and Piper Jaffray Dain Rauscher as a broker’s assistant. Personally, she is an active member of the Twin Cities Humane Society and the Lutheran Memorial Church. Agents and brokers love working with her because of her product knowledge and service responsiveness. She’s a complex problem solver who always maintains her integrity. Fride is a native of Norway but completed a majority of her schooling in the USA. She graduated in 1997 from Concordia College in Moorhead Minnesota with a double major in Business and Scandinavian Studies. She has been active in the insurance and financial services industry for 11 years. 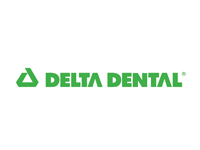 Fride previously worked as a customer service representative for Delta Dental of Minnesota and as a client associate and senior branch operation associate for RBC Dain Rauscher, a top 10 full-service securities firm. Her other jobs have included horseback riding instructor, trail guide, cook, office manager, snowmobile instructor and an electric fence tester. Fride’s hobbies include hiking, live entertainment, snowboarding and traveling. Prior to embarking on a career in the insurance business, there were those part-time jobs, while working attending college. Not only was this year’s recipient going to school and working, but evidently was doing a lot of row, row, row your boat as part of the university’s NCAA Division One Rowing Crew Team. In between these activities, there was still time to volunteer as a tutor at a middle school and doing community service through the university’s Alumni Association. Considering those part-time jobs were as a Customer Service Rep at a large utility company, then as a marketing assistant for a heating/vent air conditioning company, insurance was the farthest thing from this new college graduate’s mind. Does anyone ever really graduate saying, "I want to go into the field of insurance", neither did our winner. Graduating from the University of Dayton in Ohio, our award winner was recruited by one on the most recognized insurance companies in the world, MetLife. Snoopy had met his match. After training, she obtained her Securities Licenses 6 and 63 and the Health and Life licenses. Two years ago her large blended family in Ohio helped her pack and she was now on her way to Minnesota as the new rookie sales rep. Besides her Twin Cities territory, Melanie also traveled to the hinter land in out-state Minnesota and the Dakotas—every new reps dream come true. She nurtured relationships and started building her territory. She is no longer the "rookie" of the Twin Cities office and her sales now focus on brokers in the Twin Cities. Melanie’s sales manager is very excited about 2006 being Melanie’s year to meet all of her goals. She has already met 50% of her sales goal for 2006. Winning the LeClair Award is not just about being a new comer to the industry, but also about dedication, professionalism, and integrity. Our winner this year encompasses all of those attributes and we are proud to announce Melanie Scharf of Met Life as the 2006 LeClair Award winner. Adam T. Roemer graduated from the University of Wisconsin, Eau Claire with a major in Economics and World Political Science. Once again proving, that no one ever really starts out saying they WANT a job in the insurance industry. His mother had been in the benefits business since 1972, so he had heard the jargon his entire life. While in college he would work at Medica part-time during holiday vacations and summer break stuffing enrollment packets. He did that for four years and made a lot of friends at Medica. When he graduated from UW, he asked his mother if he could work for her agency and initially she said “no, no, no, I don’t have the time or the patience to train you into the business.” Being persistent with pursuing the insurance industry for a career, he applied to Medica and became part of their Member Services team—a great place to learn benefits, contracts, the lingo, problem solving—all the things Mom was unwilling to do. After fourteen months at Medica, Adam asked his mother and her partner for a job at HRTotal Benefits and the timing was right. Adam plunged into his new duties and, almost two years later, has accomplished much while wearing many different hats. He services benefit and HRTotal clients on a daily basis, and he assists with internal sales and outside sales on specialty products. He follows new clients through the submission and underwriting process and continues to take on added responsibility as the agency grows. He eventually hopes to get into full-time sales. Clients often state how much they enjoy working with Adam and his attention to detail and quick responsiveness in solving their problems. Besides that, he has a great sense of humor and keeps his office co-workers always laughing. Adam became a member of MAHU in 2003 and wishes to carry on a family tradition of involvement in this great organization. 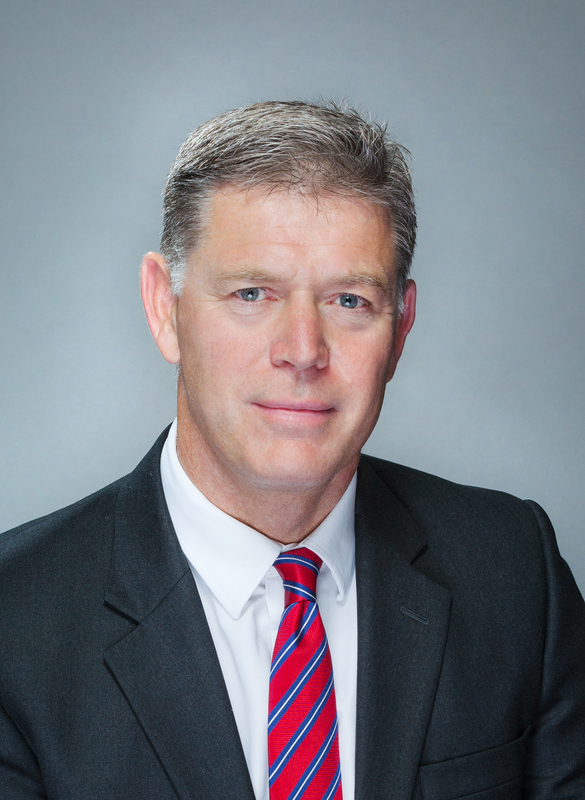 Tom Mayer is an energetic and resourceful professional with more than 20 years’ business experience, predominantly with entrepreneurial, growth firms. He has founded five companies including a “Kid for Rent” lawn service he started at age 11. His second endeavor was “White Wolf Maintenance,” a cleaning restoration company. In 1991, after graduating from Hamline University, Tom sold the business to his brother, Pat. Tom then co-founded and grew “Five Star Gourmet Meat Company” into a $4 million home delivery business with 90 employees. Five Star was featured in publications includingForbes,Success, andTwin Cities Business Monthly. In 1995, Tom sold his interest in Five Star so that he could attend the University of Minnesota Carlson School of Management and earn his MBA in Marketing and Strategy in 1997. During graduate school, Tom started Superior Foods, Inc. and happily sold frozen foods door to door until he entered the employee benefits field in 1999. Tom worked for Capital Benefits Group for two and half years and founded Direct Benefits, Inc. in June of 2001. He is known by other agents, employees, and peers as a dynamic marketer and salesperson who is effective in working with diverse groups to get the job done. Tom currently serves as the membership chair for the Minnesota Association of Health Underwriters. He also actively contributes to the Beta Kappa Theta Chi Alumni Advisory Board and the St. Joan of Arc Spirit in the Workplace Committee. His hobbies include backpacking, cooking, dog-sledding, kayaking, mountaineering, rabbit hunting, reading, scuba-diving, traveling, trout-fishing, and tubing. His favorite foods are Nueske’s bacon and oatmeal-raisin cookies.